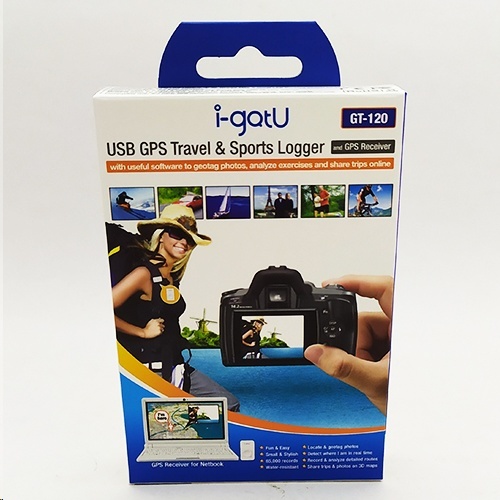 The Mobile Action GT-120 i-gotU USB GPS Travel Logger is a clever GPS Device that records and tracks your journey, automatically adds GPS information on any photos taken along the route, presents it in 3D format and exports it in sharable files. i-gotU is compatible with any digital camera or camera phone available, provides a top notch GPS tracking gadget, and is also compatible with software such as Google Map/ Earth, so you can showcase your exciting trips live! In addition to this, you can export multiple files to popular online albums such as Picasa & Flickr. You can also create and share a live blog with friends around the world. i-gotU, allows you to organise your pictures in a more fun way. The device comes with a free and user-friendly i-gotU Desktop software which brings your trip experience to life by tracing the route and replaying the photos and YouTube videos showing the location on Google Maps and also on Google Earth. While it sounds complicated, sharing couldn't be easier! 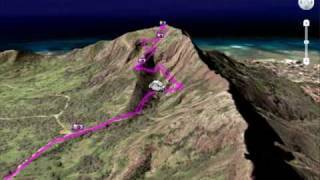 This animated journey can be exported to MHTML / KMZ format so it can be sent by email to your friends. It also features the facility to upload photos to Flickr and Picasa. All i-gotU users receive 100MB a complimentary travel blog on www.a-trip.com (@trip website). Users can invite friends through Facebook or My Space to view their travel experiences online. Viewers can enjoy 3D virtual reality view, photo view or map view.